Congressman Greg Walden (R-Hood River) has released a town hall schedule. Congressman Walden has been a strong, consistent voice for Second Amendment rights in Congress. Now with Pelosi and far-left Democrats controlling the house, we need to support our Second Amendment legislators more than ever. 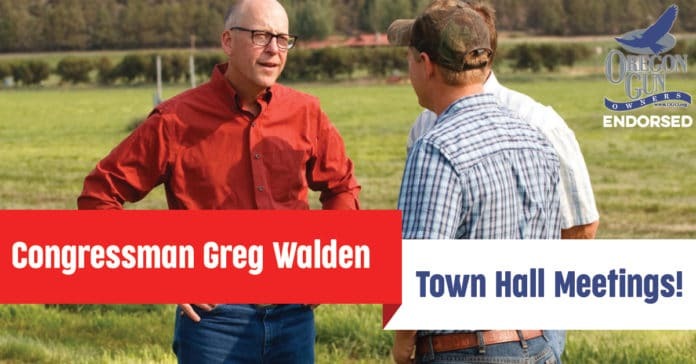 We encourage you to attend one of Congressman Walden’s town halls, thank him for his support of the Second Amendment and encourage him to keep up the good fight.